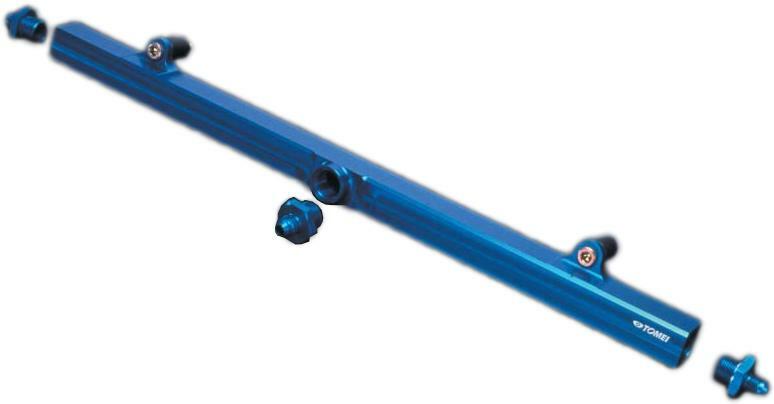 The Tomei Fuel Rail will supply an adequate and stable supply of fuel to your tuned engine. One of the vital upgrades necessary when you start tuning any engine and especially for those aiming for big power. This will compliment your injector upgrades. Made from high grade light weight aluminum material as a solid billet bar and then manufactured with the push out method this will ensure the durability of this fuel rail and also it’s strength. Non corrosive and will suit any tuning needs. Finished off in anodized blue color to add that finishing touch to your engine bay.